Vitus bikes are now offering framesets on our most popular models which allows you to build your bike to your own personal preference and requirements. With more travel and more aggression; the Dominer DH has been designed with one thing in mind; descending the gnarliest trails and mountainsides at terminal velocity! With 200mm of rear and front wheel travel the Dominer DH will devour anything in its path! Our lightweight hydroformed multi-butted, heat treated 6061-T6 aluminium frame features 200mm of rear wheel travel via a Four-Bar V-Link activated suspension platform which eliminates pedal bob yet remains fully active at all times. Suspension travel is controlled by a RockShox Kage RC coil shock for consistently plush performance whatever the trail may throw at you. All pivots run on sealed cartridge bearings providing supple performance with low maintenance. The derailleur hanger is user replaceable in the event of a crash or mishandling during transit. 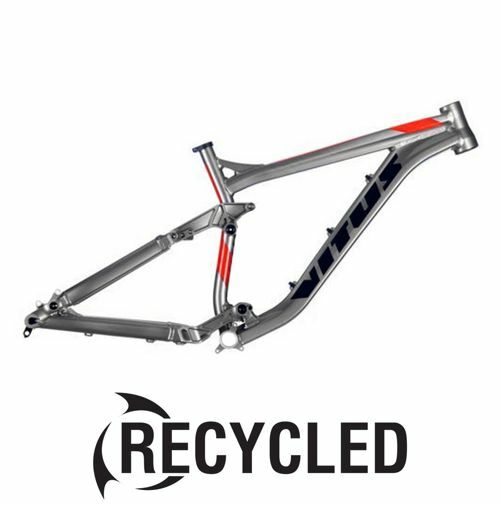 Click the button below to add the Vitus Bikes Dominer DH Suspension Frame - Ex Display 2015 to your wish list.